Knorr Sinigang na Sampalok Mix with Gabi is all you need to have that "asim kilig" goodness from Sinampalukang Manok with Dahon ng Sampalok. It's delicious! 1 Get your pot nice and hot over medium heat. Pour some oil and sauté garlic, onions, and ginger. 2 Add the chicken pieces next and saute until liquid from the chicken has evaporated. 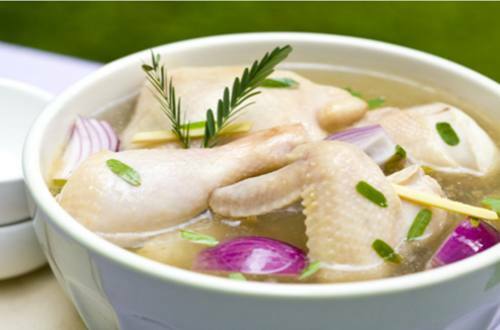 3 Pour the water and add the Knorr Sinigang sa Sampalok Mix with Gabi and Knorr Chicken Broth Cubes. 4 Simmer until chicken is tender. Add the sampalok leaves, and leave for a minute just before serving. With a big serving of hot rice, you can't help but eat more than usual.